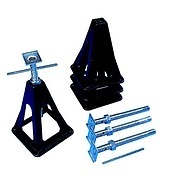 Fiamma Plastic Axle Stand. 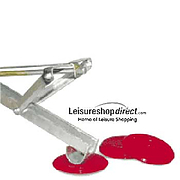 Max weight per jack 750kg. Body height 24cm, base 17.8cm square. Maximum overall height 46cm. 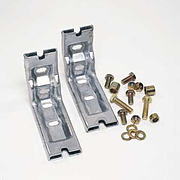 These plastic wind up jacks are half the weight of aluminium models. 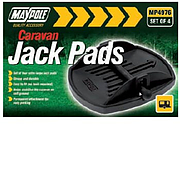 Jack pads for caravans. Alko, Fiamma and Purpleline.